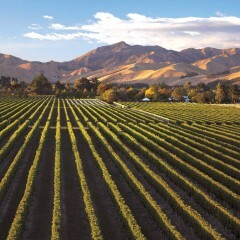 Family owned Marlborough winery, Saint Clair Family Estate, have expanded their estate owned properties to include a vineyard in the highly regarded GIMBLETT GRAVELS WINE GROWING DISTRICT of Hawkes Bay. 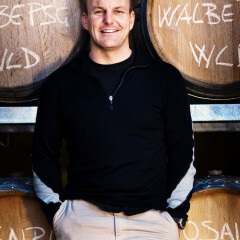 This is a welcome addition to the existing portfolio of Saint Clair’s vineyards located in Marlborough’s Southern Valley, Awatere Valley, Lower Wairau, Rapaura, Fairhall, Omaka Valley and Waihopai Valley. Saint Clair has been sourcing fruit from this GIMBLETT GRAVELS WINE GROWING DISTRICT ‘Plateau’ vineyard for a number of years. The vigour moderating, free draining gravel provides a superb base for producing wines that are rich, ripe and full of concentrated fruit flavours. The expansion of vineyards in the Saint Clair portfolio creates a growing avenue for Saint Clair Family Estate to continue to provide customers with wines of excellence across a wide range of varietals and price points which contributes to the ongoing constant evolution of quality and success from this leading New Zealand wine producer.